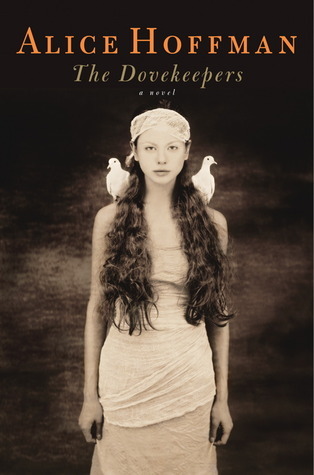 Set against the backdrop of the siege of Masada, The Dovekeepers is a haunting tale of four women who fight to write their own stories in a society which expects that their men should speak for them. Yael, the assassin’s daughter, is a single mother who having committed the ultimate taboo finds solace and belonging with the other dovekeepers. Revka, the baker’s wife, serves justice to the men who stole her grandsons’ voices. Fearless Aziza, the warrior’s beloved, is lost in the girlish role she has been forced into since coming to Masada while her mother Shirah, the witch of Moab, begins to find that even the ancient powers handed down from mother to daughter aren’t enough to protect the ones she loves. Beautifully researched and immaculately written, this book had me yearning to visit Jerusalem and Masada to visit the site. Seriously, I spent most of my Christmas looking for flights out and transport to the Dead Sea. Each character is beautifully constructed with an authentic voice. The lyrical prose and historic back drop really made me feel like I was listening to the voices of women who lived through the siege. Numerous Guardian reviewers recommended this as one of their best books of 2011 and I cannot recommend this book highly enough, except to say that as soon as I read it I bought a copy for my sister as a Christmas present and insisted that Jon bought one for his mother as well. This entry was posted in Book Reviews and tagged books, women on January 31, 2012 by Siobhan. I made a vague new year’s resolution to read more non fiction. I like to keep my resolutions vague because it means that failure is less of an option. However, I am making an effort with this and kick started my non fiction year with The Discovery of Jeanne Baret by Glynis Ridley, an English professor at the University of Louisville. 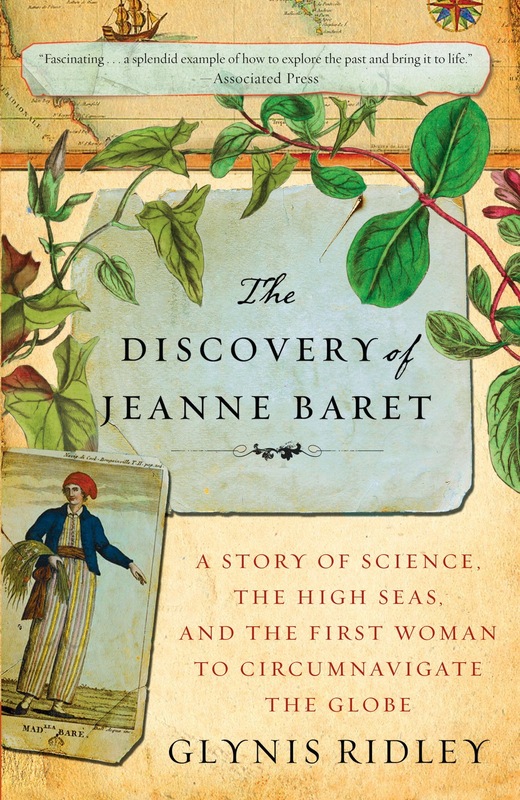 Jeanne Baret was the peasant born mistress of William Commerson, the botanist, who disguised herself as a man to enable her to join her lover on the first French circumnavigation of the globe. On this trip she helped discover the Bourgainvillea. In her book, Professor Ridley attempts to offer “a forgotten heroine a chance to bloom at last” if you’ll forgive the pun in the blurb (she was a herb woman/botanist). I couldn’t really. I’m just like that. While Prof. Ridley’s book was certainly well written and engaging, I found myself very frustrated by it. For me it suffered from the same problem that plagues so many books about the less famous mistresses of famous men- the majority of historical records associated with the woman are actually about her more famous and powerful lover. In Baret’s case there are contemporary records which tell some of her story but they are of questionable integrity (which Ridley addresses very well) and require a degree of interpretation. Ridley’s methods for interpreting these records involve detailed exploration of the lives of Commerson and Bougainville in order to contextualize the records about Jeanne Baret which is really the only way to proceed under the circumstances, but results in a book which, for me, was more about Commerson than his mistress, making the title The Discovery of Jeanne Baret something of a misnomer. Working in academic publishing, I read a lot of books like Ridley’s as a part of my day job and I think that my expectations as a result of this may have tainted Ridley’s book for me. It’s a dangerous strategy as a publisher to bring out a book with a very academic tone which attempts to cross over for the general reader. The book is poorly referenced throughout and though it includes some passages by way of evidence, much of the time I found myself muttering to myself “Where’s your evidence for that? What are you basing this on?” to the point where I felt that sweeping of (admittedly quite lovely prose) were pure conjecture which could easily have been remedied by replacing phrases like “Jeanne would have felt” with “Jeanne might have felt”. I’m not a fan of speculation presented as fact in these books, it read more like an exercise in gender studies than a historical account. This is worth a read if you are happy to skip over the material which is presented in the footnotes of more academic texts. It has been well written and well researched, but I felt that by attempting to be a hybrid text it overlooked the level of detail and integrity its readers might look for. Have you read this book? Would you disagree? This entry was posted in Uncategorized and tagged books, History, women on January 25, 2012 by Siobhan.